1. The name of the Association shall be “ The Kitchener Scholars’ Association’” hereinafter referrred to as the “Association”. to hold regular meetings for the study and discussion of cultural and educational subjects. to promote mutual assistance, common interest and good fellowship in the Association. to maintain a Benevolent Fund. To perpetuate the memory of the First Earl Kitchener of Khartoum by all appropriate means. to hold a memorial service in St Paul’s Cathedral annually on or near the 5th June, the anniversary of the death of the First Earl Kitchener of Khartoum. 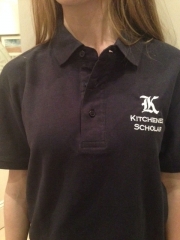 3 (a) Only persons who are or have been Kitchener Scholars are eligible for membership of the Association. (b) Persons other than Kitchener Scholars shall be eligible for appointment to the office of Vice-President of the Association. Such persons shall be honorary members of the Association during their term of office. (b) Ordinary members shall pay an annual subscription, the amount of which shall be determined each year by the Committee. (c) Overseas members and (d) Present scholars shall pay an annual subscription of Five shillings ((25 new pence)). All annual subscriptions shall be due on 1st October in each calendar year. Any member whose subscription is in arrears shall have no membership rights. Any member whose subscription has been in arrears for more than twelve months shall cease to be a member. 6. The Association shall be governed at all times and in all matters by an Executive Committee (herein referred to as “ the Committee ” ) to be elected annually by the Association. 7. All members of the Association shall have the right to submit to the Committee any comment or suggestion, such comment or suggestion to be placed before the Committee at their next meeting. The President shall be the Rt. Honorable the Earl of Khartoum and Broome. The Vice-President(s) shall be such persons as shall be elected by the Committee from time to time provided that any person appointed to the office of Vice-President shall automatically retire at the expiration of three years from the date of his appointment but shall be eligible for re-election. The remaining officers of the Association shall be elected annually at each annual general meeting, by ballot from the names submitted for nomination. Any casual vacancy occurring at any time in any of the above offices (whether by resignation or otherwise) between the dates of any two Annual General Meetings shall be filled by the Committee. All Officers (other than the President and the Vice-President(s) ) shall hold their respective offices until the next following Annual General Meeting when they shall resign but be eligible for re-election. 9. The Committee shall consist of the Officers (other than the President and Vice-Presidents) and such persons (not exceeding 12 in number as shall be elected at each annual General Meeting by ballot from the names submitted for nomination as “Committee Members”. For purposes of this Rule any person who shall be defeated in a ballot for the position of an Officer at any Annual General Meeting shall be deemed to have been duly nominated for election as a Committee member at the Annual General Meeting. 10. In the event of not more than 12 names being submitted for nomination as Committee members at an AGM then the persons so nominated shall be deemed to have been elected; and in the event of less than 12 Committee members being so elected, the Committee itself may appoint such additional Committee members as it thinks fit subject to such number not being exceeded. The Committee may furthermore fill any vacancy in their number of Committee members occurring (by reason of resignation or otherwise) between the dates of two annual general Meetings. 11. All Committee Members (howsoever appointed) shall hold office until the next following Annual General Meeting when they shall resign but shall be eligible for re-election. 12. The Committee shall have the power to appoint from it’s members such sub-committees as the Committee shall think fit and to determine the duties and quorum of such sub-committees. All Officers (other than President and Vice-President(s)) shall be ex-officio members of such Sub-Committees. 13. The Committee may meet together for the dispatch of business and otherwise regulate its meetings as it thinks fit. 14. Questions arising at any meeting of the Committee or any sub-committee shall be decided by a majority of votes In the case of an equality of votes, the Chairman of the meeting shall have a second or casting vote. 15. The Quorum necessary for the transaction or business of the committee shall be five members of the Committee. 16. No Officer or Committee Member shall be personally liable for loss, insufficiency or depredation of the Association or any monies or investment representing the funds of the Association except where the same shall have been caused by his own willful act, neglect or default. (a) to receive and if thought fit, adopt the Treasurer’s report and the audited accounts of the association for the preceeding year. (b) to elect the Officers (other than President and Vice-President (s) and the Committee members for the ensuing year. 18. At least 28 days notice in writing shall be given to each member of the association of an AGM. There shall be sent with such notice a copy of the Treasurer’s report and the audited accounts for the preceeding year. 19. Nominations for election as an Officer (other than President or Vice-President(s)) or Committee member must be sent to the honorary secretary to reach him 14 days before the AGM. In the event of no nomination being received as aforesaid for election as an Officer (other than President or Vice-President(s)) then a nomination (whether written or verbal) submitted at the AGM shall be valid. 20. Every nomination as aforesaid must be duly proposed and seconded by members of the Association. 21. Any member of the Association desiring to place a motion before the Association at the AGM must send notice of such motion to the Hon Sec not later than 14 days prior to the date of such AGM and such motion will then be placed before such AGM. 22. The Committee may convene an EGM of the Association. 23. An EGM shall also be convened on the requisition in writing of not less than 20 members of the Association, requisition to be addressed to the Hon Secretary and to specify the motion(s) to be placed before the Meeting. The notice convening an AGM pursuant to such requisition shall be sent to Members within 21 days after the receipt by the HS of such requisition. 24. At least 21 days notice in writing shall be given of any EGM and such notice shall specify the motion’s to be placed before such meeting. 25. No business shall be transacted at any EGM other than the business specified in the notice convening such a meeting. Votes of Members at General Meetings. 26. Questions at any General Meeting shall be decided by simple majority votes except as otherwise provided in these Rules. In the case of an equality of votes the Chairman of the Meeting shall have a second casting vote. 27. At the General Meeting the votes of the members shall be taken on a show of hands except in respect of motions to be determined by ballot under these Rules. 28. There shall be no voting by proxy or post. 29. No alteration of the Rules may be effected except by a resolution passed by a three-quarter majority of the Members of the Association present at a General Meeting of which notice specifying the proposed resolution has been given. 30. The Committee shall have the power to determine (a) all questions, differences or disputes which may arise as to the construction of the Rules and (b) any matter not provided for in these Rules.